The foam fit perfectly. Instructions were good. Restored the speakers back to the original sound. And was much cheaper than a new pair! 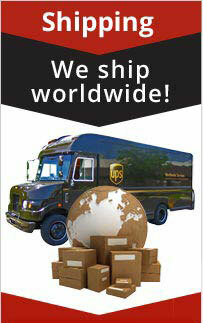 Great service, very helpful video support. Every thing I would have expected. Highly recommend. 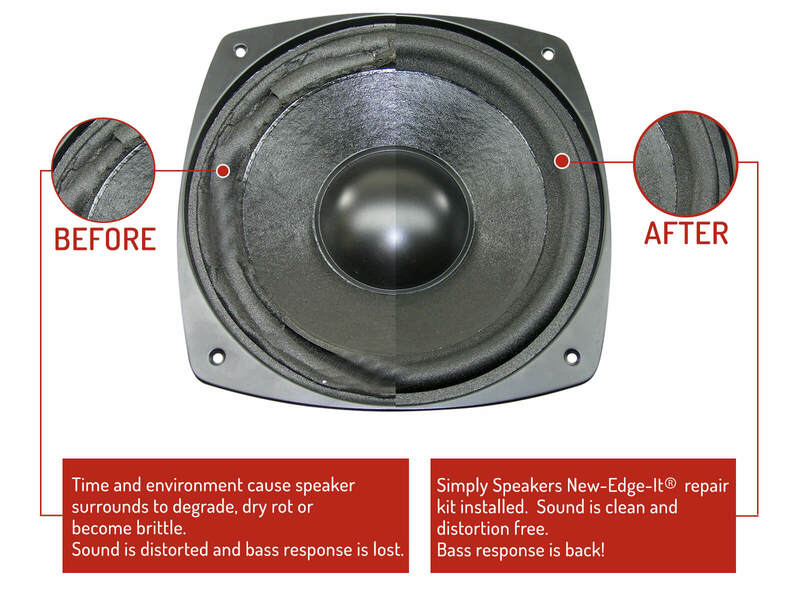 This was my first time doing repair work on a speaker. 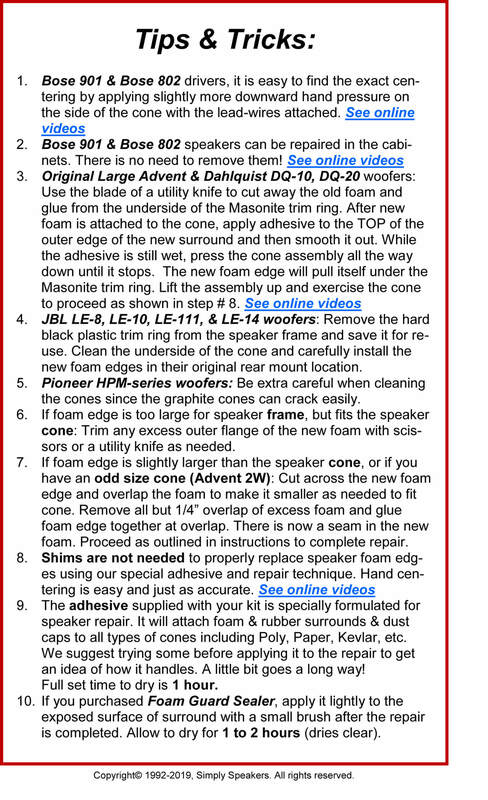 The instructions that came with this speaker repair kit were easy to follow. You do have to have some patients for the gluing process and drying time. After finishing up the repair on my sub-woofer speaker I reinstalled the speaker and hooked it back up to my receiver and watched Pacific Rim as a test because the Jaeger vs Kaiju battles! I was extremely impressed with the sound, just like new. No more distorted base! 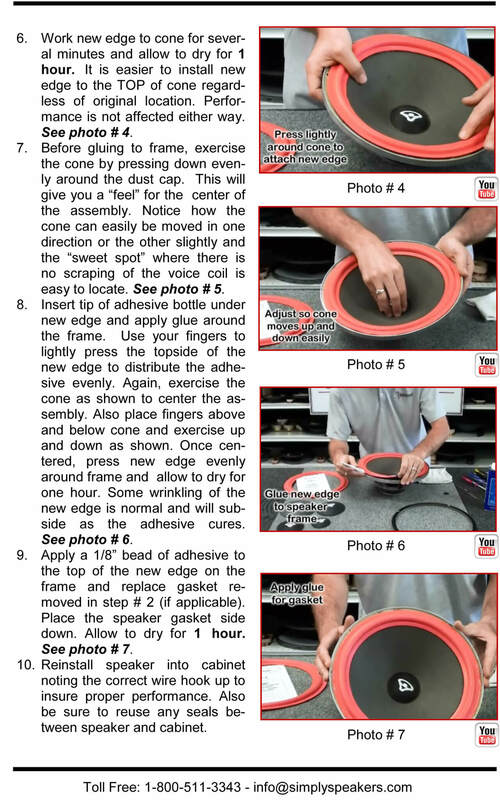 Great instructions and fantastic videos make using these replacements super easy. Fixed up my speakers and they sound perfect again. Worked great, replaced rotten and deterioated piece with new one. Sub woofer works again! I HAVE A KSC-WA801. I DIDNT WANT TO THROW IT AWAY BECAUSE THE FOAM DETERIORATED. THAT WOULD HAVE BEEN A WASTE, AS IT WAS IN PERFECT CONDITION. BOUGHT THE REPAIR KIT AND IN ABOUT AN HOUR IT WAS AGAIN LIKE NEW. TAKE YOUR TIME, WATCH THE VIDEO, FOLLOW THE INSTRUCTIONS, POSITIVE RESULTS WILL BE YOUR REWARD. The instructions are thorough. It was simpler than I had anticipated. Take your time, read the instructions, and follow them carefully. I was very pleased with the results. 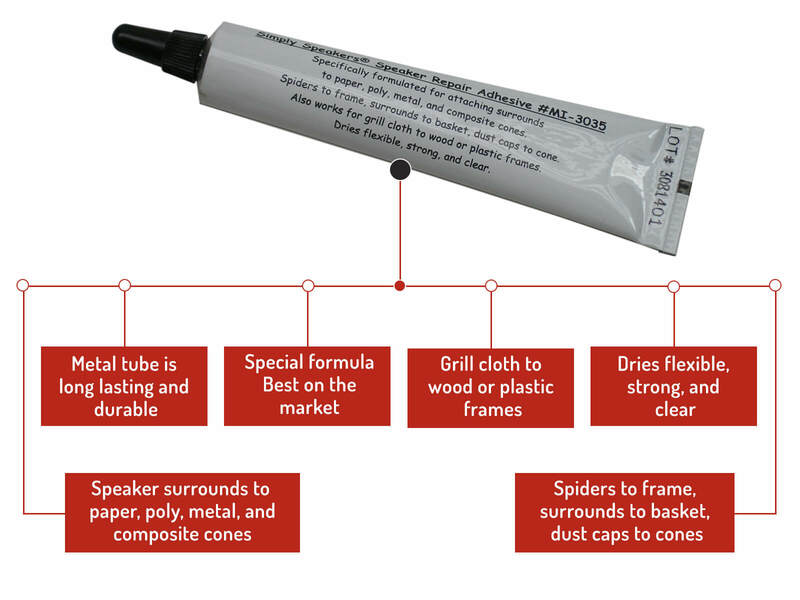 Outstanding product which was easy to use once you get used to the glue, practice on another object first before you use on the foam. 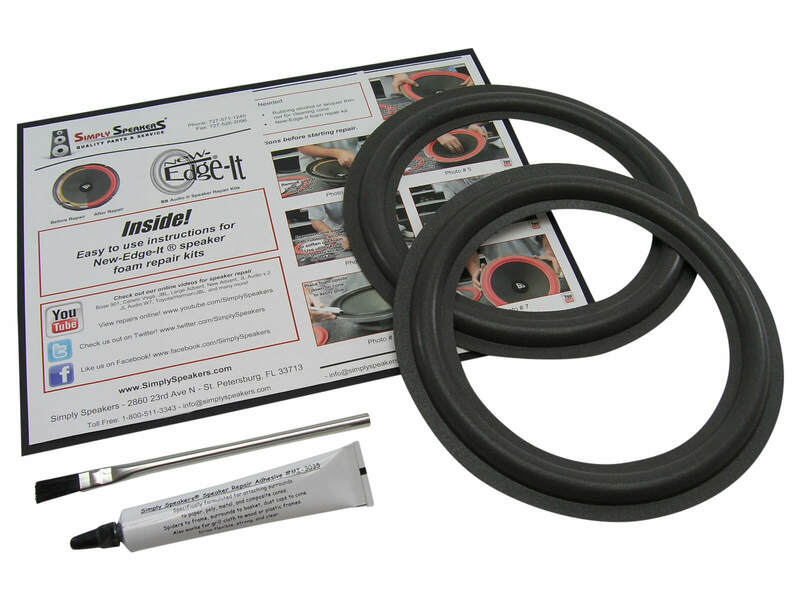 Read the instructions and follow step by step and you will have a perfect product repair. 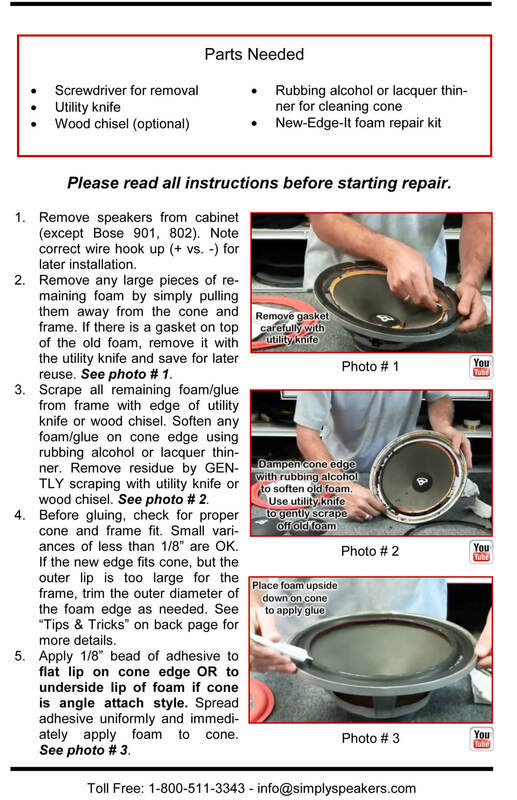 Q: Will your fsk-8 kit be the proper repair kit for my sw-200 Kenwood Subwoofer ? 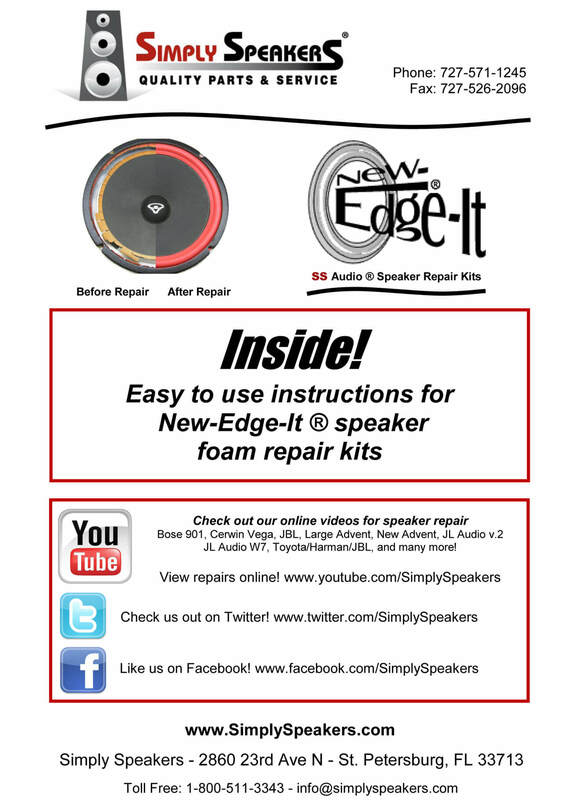 A: Yes, this is the correct foam replacement kit for the Kenwood SW-200 speaker system. Q: ? 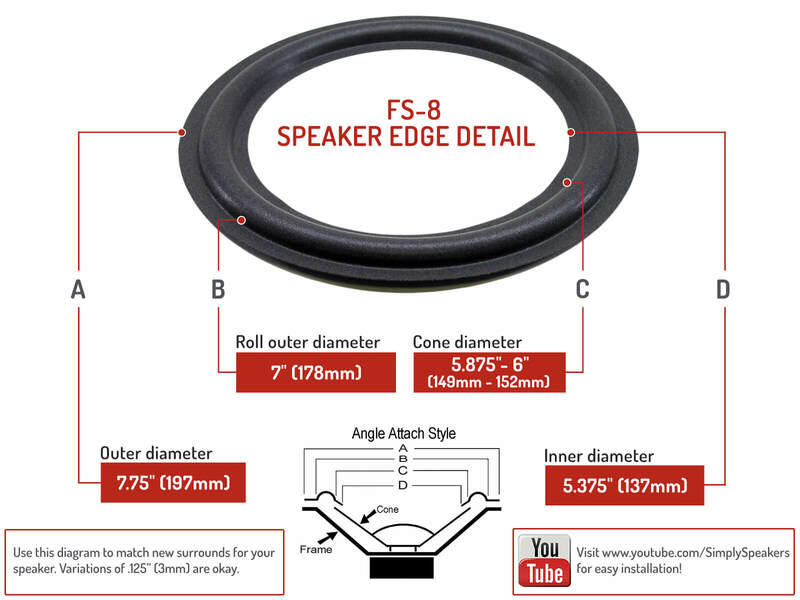 Can you tell me if replacing the rubber surround on a Woofer speaker, with a foam surround, increase the cone compliance, for a better bass response. A: Yes, generally speaking, this is the case. Keep in mind the intention of the original design however, because "more" bass response does not necessarily mean "better" bass response. 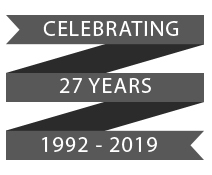 Kenwood: KSC-WA801, KVS-300, KVS300, LS-403, LS403, LS-403B, LS403B, LS-404B, LS404B, LS-7200, LS7200, LSK-200, LSK200, LSK-200B, LSK200B, LSP-3000D, LSP3000D, LSP-5000D, LSP5000D, LSP-5000K, LSP5000K, LSP-5000X, LSP5000X, LSP-5100, LSP5100, LSP-7000X, LSP7000X, LSP-7200, LSP7200, LSP-7000HG , LSP7000HG, P110-0627-18, SW-200, SW200, SW-32HT, SW32HT, SW-700, SW700, S-7VX, T10-0299-03, T10-0334-03, T10-0627-18, T10-0693-08, T10-0848-05, and many more!